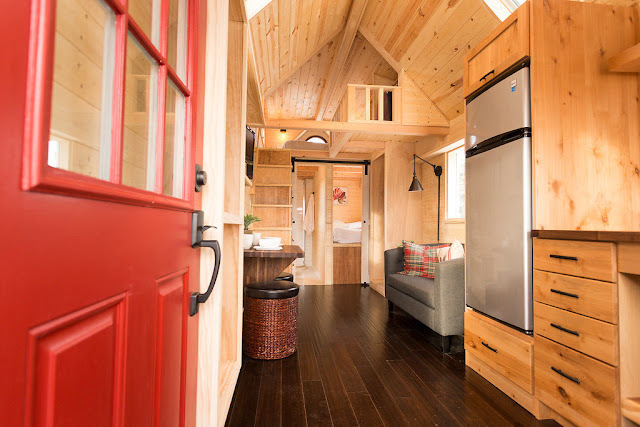 A colorful home with a warm, homey interior! Large windows keep the space well illuminated with natural light, and the ground floor bedroom is the perfect addition for hosting guests or use as a kid's room! 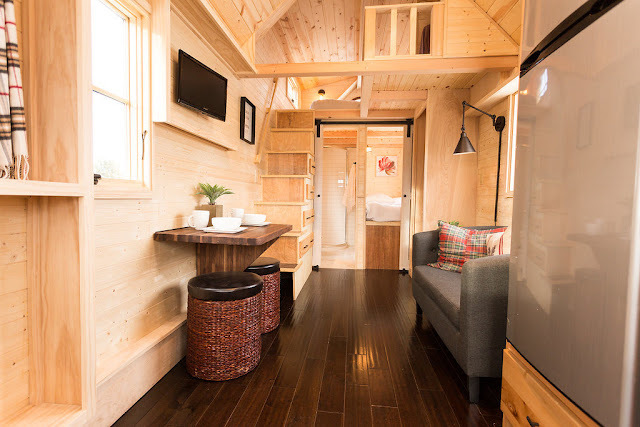 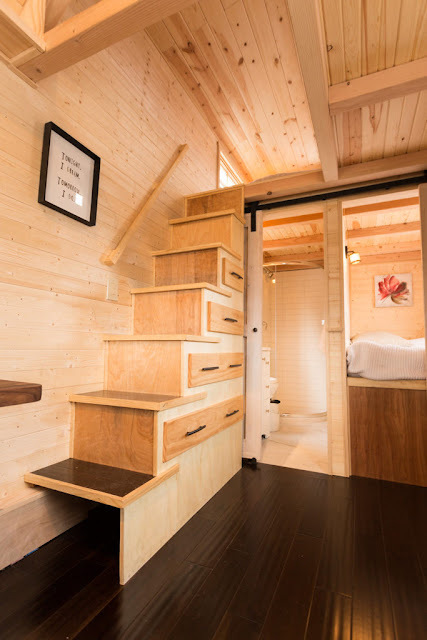 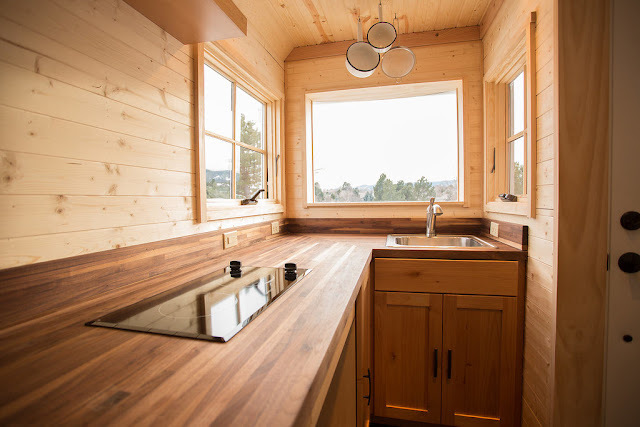 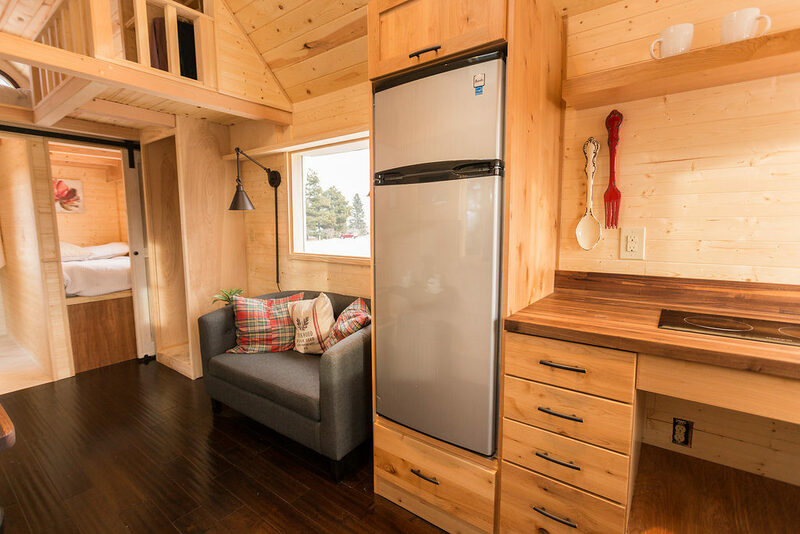 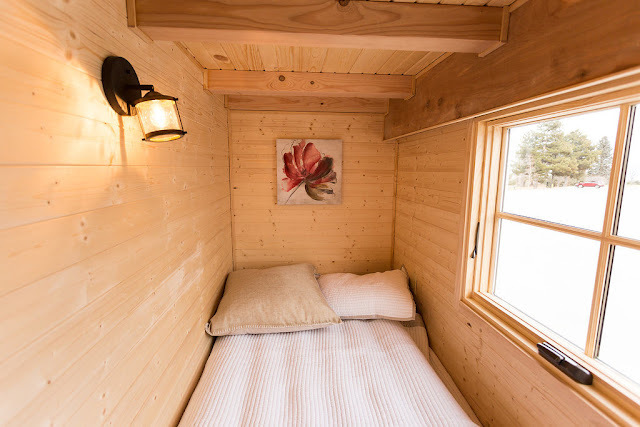 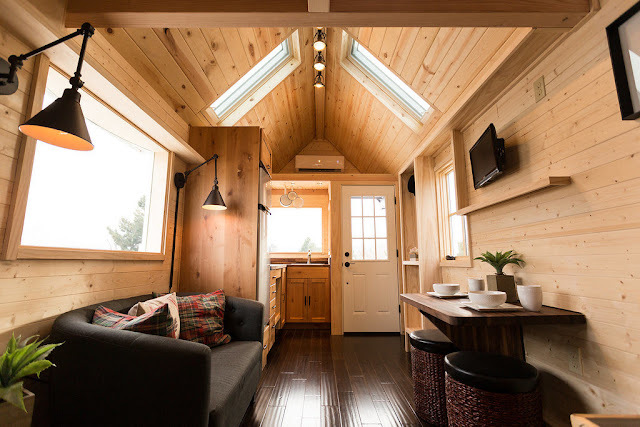 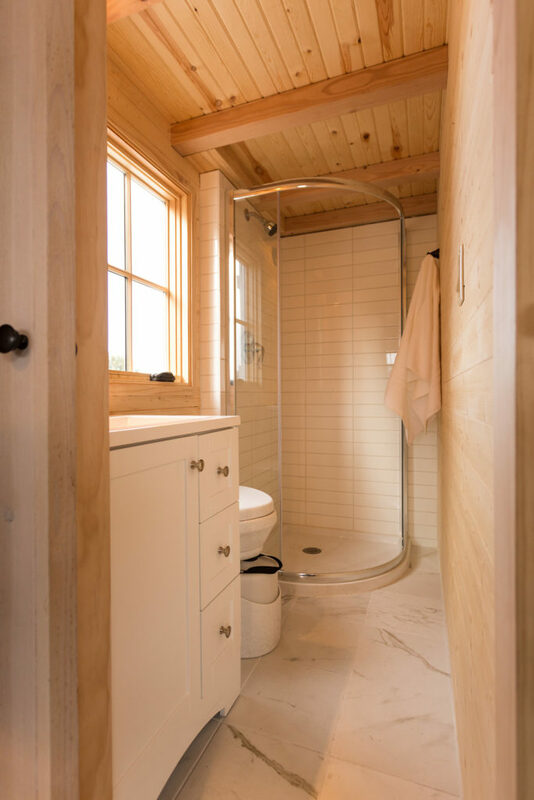 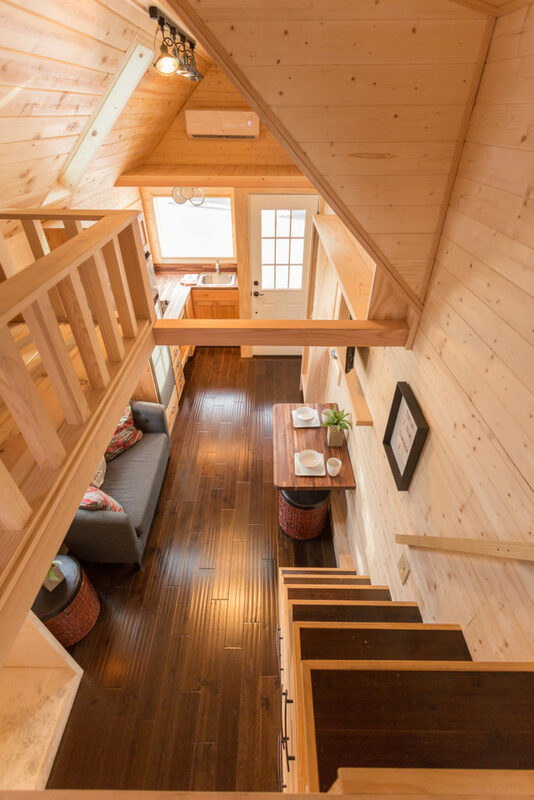 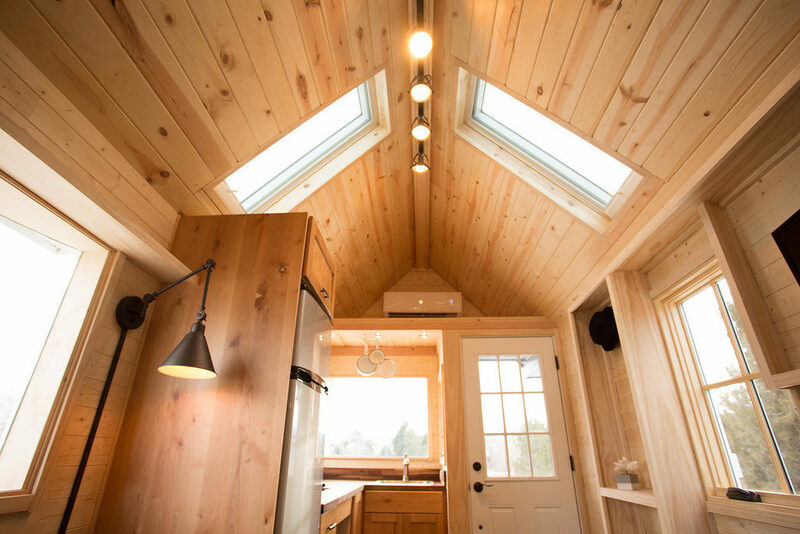 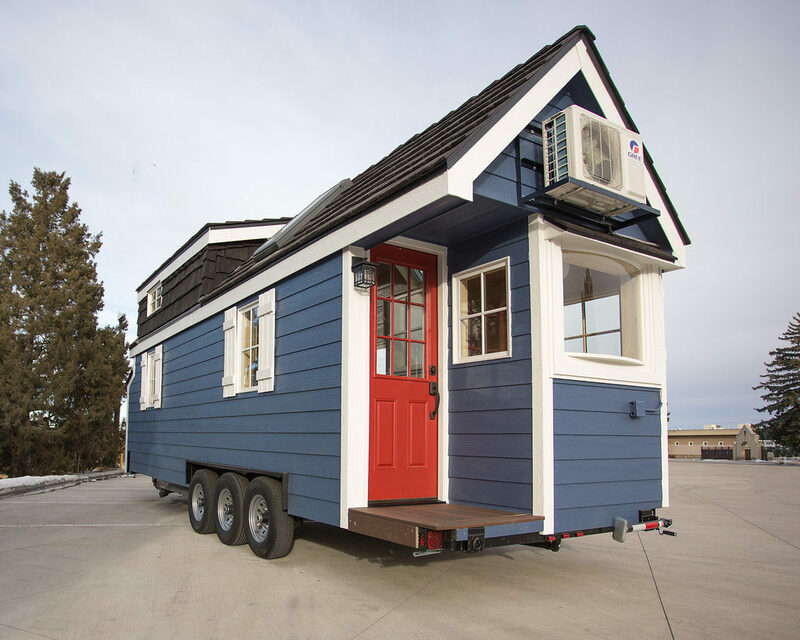 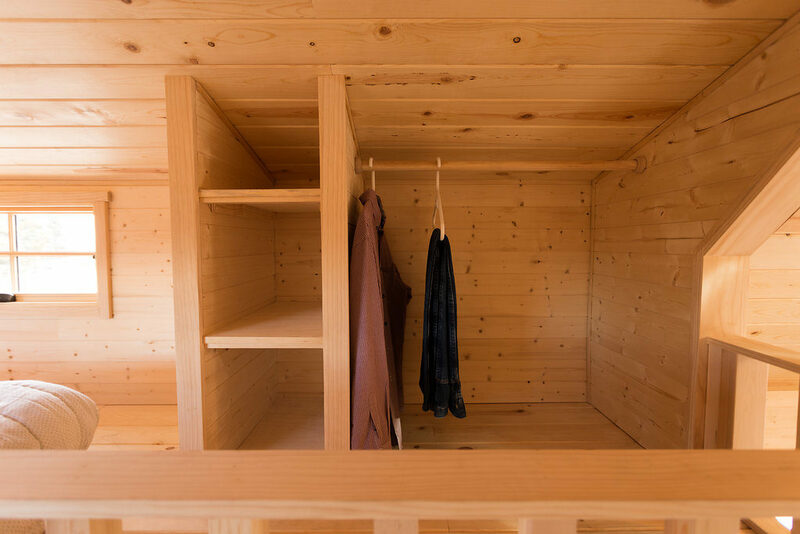 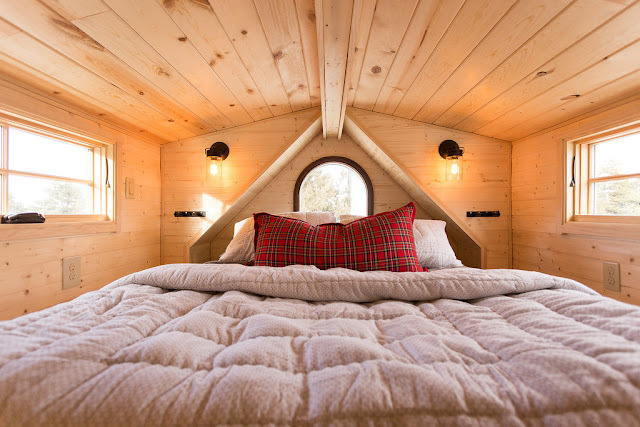 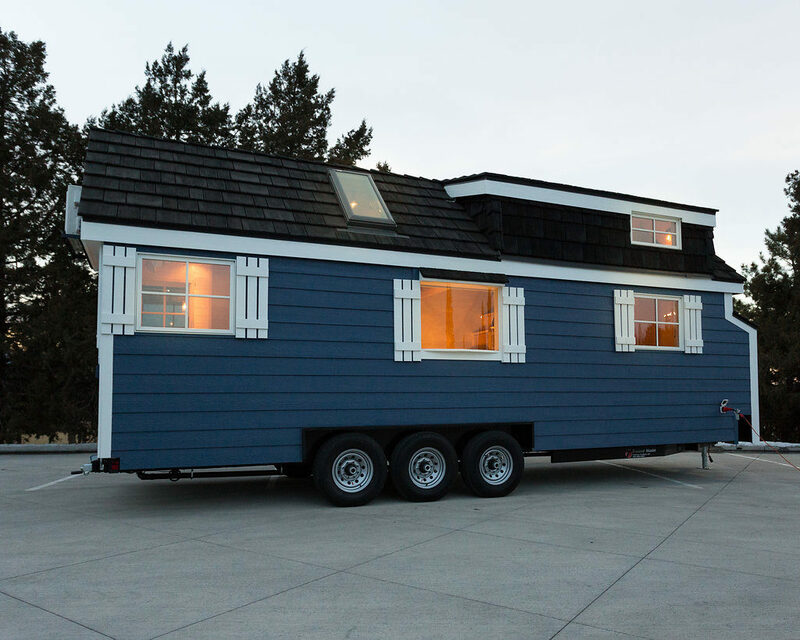 Built by Hideaway Tiny Homes of Denver Colorado.